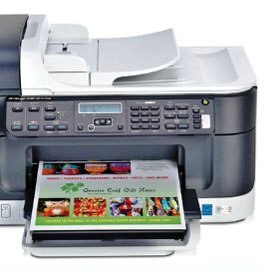 Everything which is related or in touch or belongs to computer are in process of modification with time, including Printers. Printer is a very basic device and I think everybody knows about it. So, I will just summarize its definition/function; Printer is a device which is used to print or give physical existence or transform data (images, text, etc) either on paper or in solid 3D model. With time as other devices, changes in shape, size, speed (page per minute), color, and so many other features are also occurred in Printers. So, the latest model with new features or modifications which recently comes in HP printers is ENVY 110 - D411A (CQ812A) WIRELESS E-ALL-IN-ONE PRINTER. HP give freedom from hardship of wire entanglement. 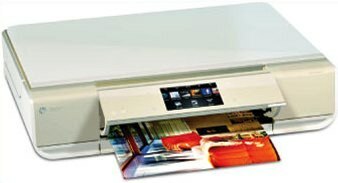 You can also control this new HP printer using a remote. It doesn’t matter where you are means you can send command to printer (which is at your home or office, etc) to take print out of anything like documents or images either you are sitting same city or from another country. And this feature is not less than blessing for persons who are at home or for office workers. Another feature of New HP Printer is that it has its own Email Address. Means you can send you can send any document/images to it from anywhere using email. You can also use Smartphone’s for same purpose and can take printout at same time. And this new Hp Envy 110 printer price is only $250.